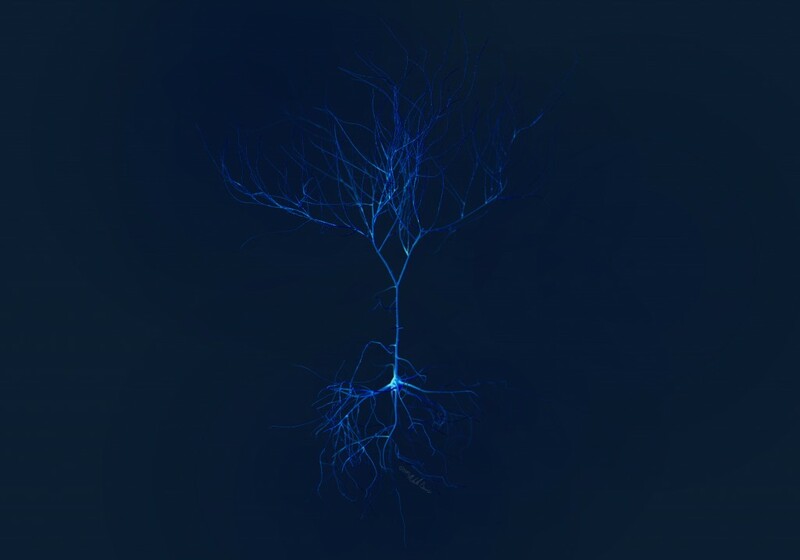 A few months ago I worked on a neuron on ZBrush, and I built it pretty much entirely from a zspheres skeleton. It got the job done, but it was tedious, and I wasn’t able to add the level of detail I really needed without relying on Photoshop. •Layer Fibermesh dendrites – make the largest branches, then add smaller fiber branches on to those, and so on. I’m not sure how this model would play out exported to other programs, but at least staying within zbrush I got much better results. 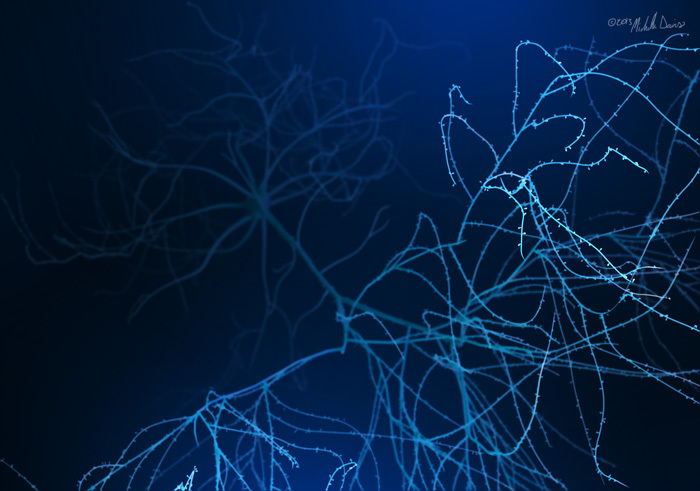 See a few renders* of the improved pyramidal neuron below! *Compositing and color adjustments in photoshop, but entire structure done entirely in zbrush.